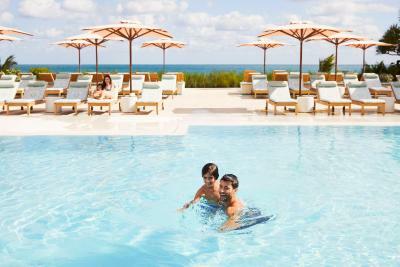 Lock in a great price for Four Seasons Resort Palm Beach – rated 9 by recent guests! The beds are amazing!! The staff from the moment we arrived were courteous, very friendly, always accommodating, delightfully professional. The staff whether behind a desk or housekeeping were right away helping, advising, providing. This has been our best trip yet in staying since the mid 90’s. The property was beautifully maintained the staff could not be more helpful and always remember your name. This is a true 5 star resort! We love this hotel. It is a little pricey though. Pretty view from balcony. Comfortable bed. Clean and well appointed room. Amazing property! Staff is top rate! Such a relaxing vacation. I can't wait to go back. The service, the beach, the gym, the spa and the food was wonderful. The service staff is friendly, but the installation are kind of old,the is no coherence price -quality of the rooms , it was expensive for what I expected . It is not by any way a five star room. 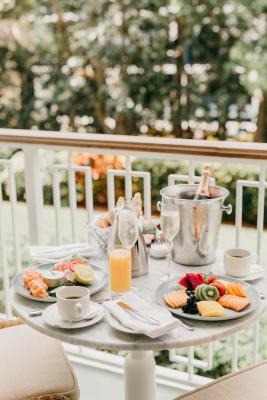 Four Seasons Resort Palm Beach This rating is a reflection of how the property compares to the industry standard when it comes to price, facilities and services available. It's based on a self-evaluation by the property. Use this rating to help choose your stay! This 5-star luxury hotel is located directly next to the ocean in Palm Beach. The hotel offers a full-service spa, ocean views, an on-site restaurant and a 24-hour gym. 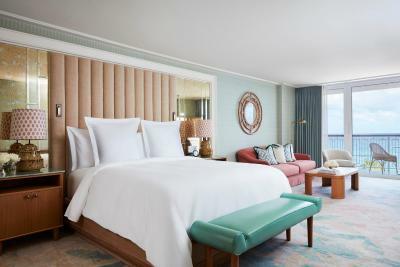 Guest rooms at the Four Seasons Resort Palm Beach are equipped with a flat-screen TV and private balcony. 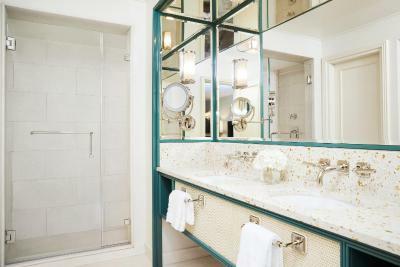 The marble bathroom features a separate glass-enclosed shower. Ocean View Studio Suites offer direct ocean views. The oceanfront outdoor pools at the Palm Beach Four Seasons are surrounded by tropical gardens. Pool attendants offer towels, water and fresh-cut fruit. Poolside cabanas are available upon request. On-site dining options include an oceanfront restaurant with fresh, coastal cuisine. 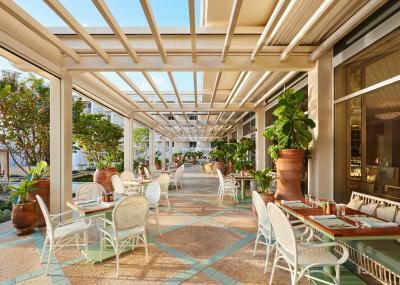 The signature Resort restaurant will be in collaboration a celebrated two-star Michelin chef. Guests can enjoy 2 tennis courts at the Four Seasons Palm Beach or access to the nearby Atlantis Golf Club. Water activities including windsurfing, kayaking and sailing are available on site. 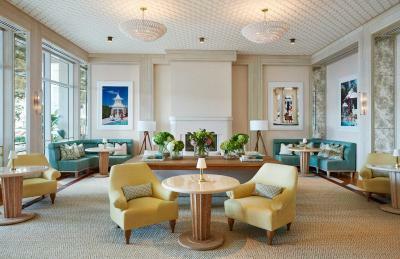 When would you like to stay at Four Seasons Resort Palm Beach? This room features a furnished balcony with a garden view and a seating area. This accessible room features a furnished balcony with a view of the grounds and a flat-screen cable TV. This room features a furnished balcony with a view of the grounds and a flat-screen cable TV. This room features partial ocean and garden views, a balcony, and a flat-screen cable TV. This room features angled ocean and garden views, a balcony, and a flat-screen cable TV. This room features a balcony with an ocean view and a flat-screen cable TV. This accessible room features a balcony with an ocean view and a flat-screen cable TV. This spacious room features an ocean view, a bath tub, and a desk. A seating area with is also included. This spacious room features an ocean view, a desk, and sitting area with sofa bed. This suite features an ocean view, patio, and 2 bathrooms. This spacious room features a balcony, sitting area, and 2 flat-screen cable TVs. A dining area is also included. Please note a sofa bed can be requested based on availability. This room features a separate living space, ocean view, and 2 bathrooms. A dining area and sitting area are also included. Please note 2 twin beds and an extra rollaway/crib can be requested based on availability. Please note this suite can be converted to a 3 or 4-bedroom suite with the addition of a connecting room. This suite features a balcony, DVD player and air conditioning. This triple room features a balcony, iPod dock and bathrobe. This double room has a balcony, DVD player and seating area. 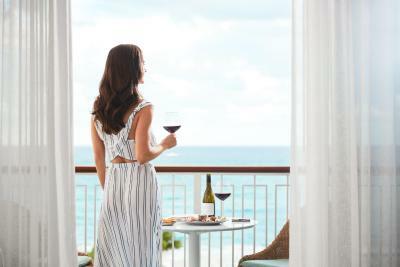 Set on Palm Beach Island’s most beautiful and expansive beach, our intimate five-star, five-diamond Resort captures the timeless class that makes Palm Beach both vibrant and charming. Our playful spirit celebrates our oceanfront location and invites spontaneous fun, adventure and relaxation. With an authentically warm and gracious team at your service, and endless memories to be made, we look forward to giving you a warm Four Seasons welcome to paradise. 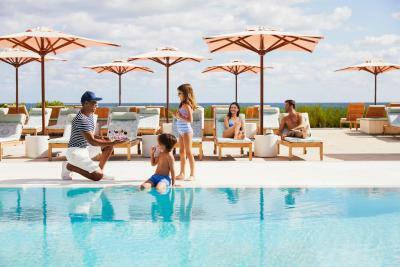 House Rules Four Seasons Resort Palm Beach takes special requests – add in the next step! One older child or adult is charged USD 75 per person per night in an extra bed. Four Seasons Resort Palm Beach accepts these cards and reserves the right to temporarily hold an amount prior to arrival. Not as big and fancy as a typical Four Seasons. Small pool, small amenity areas. Not in a prestigious area. A little far from the best part of Palm Beach. A little disappointed in the short version of menus in the room for service or the restaurant where the buffet was served. The buffet was fabulous but certainly not all that health conscious. Fruit yes, but not a great deal after that. I ordered from the menu the entire time we stayed getting overnight oats, blueberries, and almonds at least 3 times out of 5 times. I am Diabetic wearing a pump so it is extremely important to have a clean diet. Beds not made or room cleanded until 9 pm on march 30. However cleaning lady coming for turn down service that night made the beds. The hotel is beautiful, luxurious, comfortable and clean. The service is excellent, everyone has been very friendly and welcoming. The pool and the beach area are well kept and beautiful, the flower arrangements inside are exceptional. We really enjoyed the breakfast very much - great place to sit with pool and ocean view, great selection of everything, a bit expensive though. We also liked the beach restaurant and Jove a lot - great service, great food and cocktails. Garden view could perhaps be made more attractive by putting some flowers and lighting in the garden on the outside. Music in restaurant jove could be more relaxed e.g. Lounge, jazz, bossa nova. It was a pity that kidsclub was temporarily located in the one of the flagler rooms which did not feel very cosy. Beautiful design, Excellent service, friendly and professional staff throughout; from congierge to cleaning to tennis and yoga pro to spa staff , to breakfast and dinner restaurant, to driver and valetstaff, to pool and beach staff. Delicious food!very childfriendly; nice surprises for the children are memorable. We will certainly return! The Hotel was advertised to be a luxurious place for relaxation and we found it to be exactly that. If you are looking for a few days away to really re-energize, this is the place to go to. The rooms were lovely, hotel standard flawless, the gym was great and had public as well as private trainer sessions. The beach was truly just in front. Mile long sandy beach with beautiful clean water. We went in August, which is considered off season. A truly relaxing experience. It was very nice. I've liked everything, exempt wi-fi. Wi-Fi was awful. All the rest is good. One of waiters in the restaurant while speaking was always very loudly, like I speak silent, he speaks loudly. And waiters in summer restaurant were a little strange. One man brought for 3 people 2 menues, one of them is wrong (old). We ask: what is current menu? He sais: this. And didn't bring us 2 more normal menues, we 3 people had to choose from one menu. It was not professional. All the rest is perfect: super-friendly and polite personnel, who help with any request. Extra-clean and luxury rooms. Especially girls on the front desk, especially Molly! She's wonderful! High professionel! Mega-service. I reccomend this accomodation to everyone! The cost of the breakfast was pricey. Nothing was too much trouble for the staff. Each day we returned to our room and a special food treat was left for us. They definitely go that extra mile.